Cracks me up that I used a Star Trek font on this scorecard. That Cubs fan in Progressive Field chasing after Addison Russell’s grand slam ball needs to be in this scorecard. I think the comment form might be wack. I have captcha disabled, but it still appears. So proud of my friend Matt, these are incredible! Another gem by Matt Maldre! 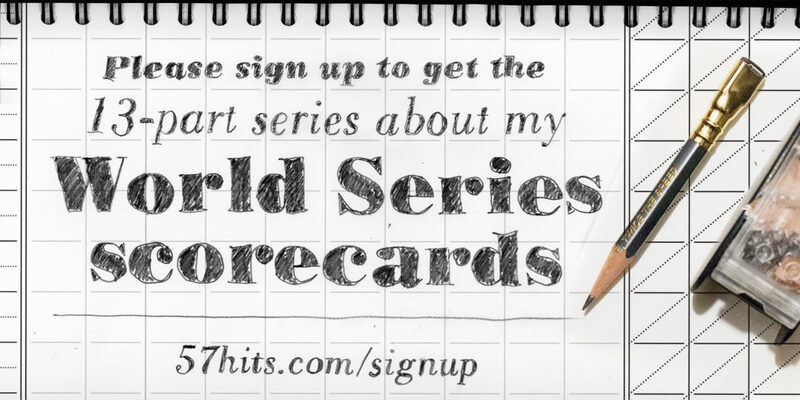 Our friend, the amazing Matt Maldre has illustrated score cards for the World Series for Chicago magazine. Here’s his installment from last night, in which there were too many incredible moments for him to include them all! I wonder what will make tonights card? Check out the series via the link below.